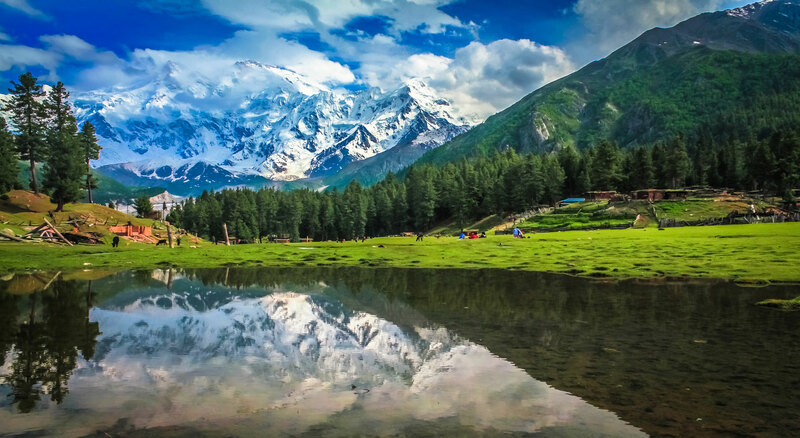 K2 is the second highest mountain in the world, and is thought by many trekkers to be one of the best treks in the world. KarakoramNews.com - Dan Mazur, the team, Sherpas, and friendly locals enjoyed a safe and successful summer in the Karakoram. The team did K2 Summit and Trek, Broad Peak, Training Climb, Pastore Peak, and Gasherbrum I and II. 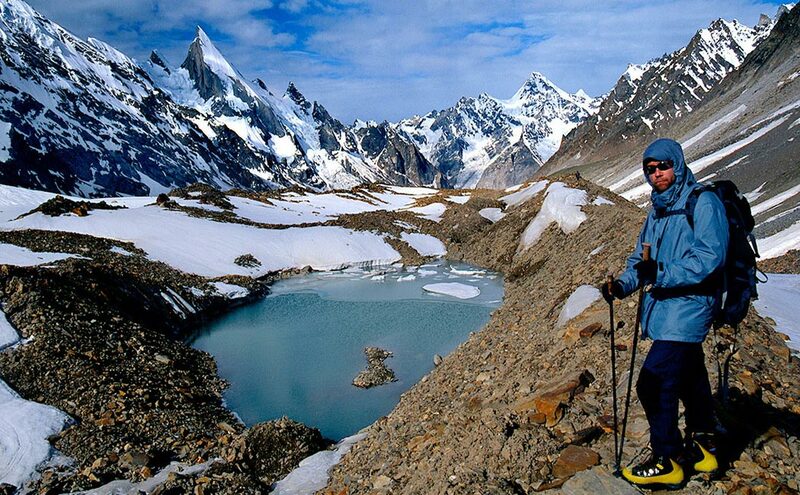 K2 is the ultimate trekker’s high! Expert leader, Dan Mazur has led multiple K2 and Everest expeditions successfully to basecamp and beyond. Be part of the select few to walk on the roof of the world. 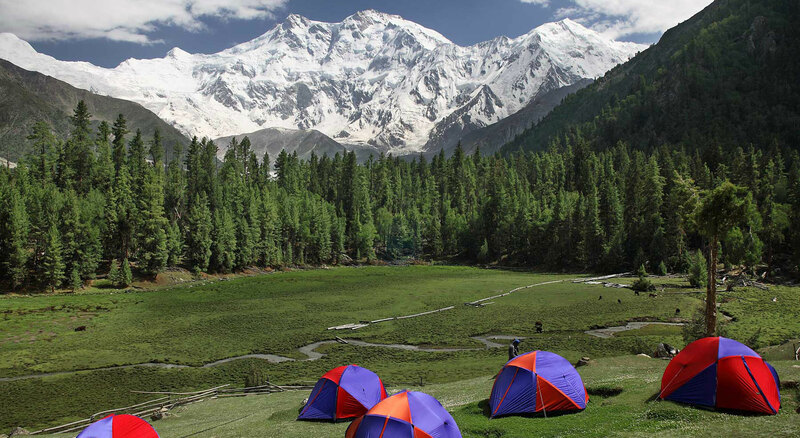 Trek on a less traveled circuit among the 8000 metre ‘Giants’ of the Karakorum. Trip includes internal flights/transportation, food, accommodations, staff, and group equipment. Day 1 - Arrive Islamabad. Transfer to hotel for overnight. Day 5 - Skardu - Briefing at Department of Tourism, final preparations Hotel. At least 1 closed cell foam kari-mats and/or in high quality inflatable sleeping pad (optional). Most of the tea houses we stay in have nice soft mattresses to sleep on. Snack / daily cold energy food: 2 kilos/4.4 pounds, is a good amount. Paperback books, playing cards, iPod/mp3 player, musical instruments, ear plugs, lots of batteries, etc. We provide a plethora of top-quality, and time-tested equipment, group gear, and supplies, including: trekking tents; cookers, fuel, etcetera. "I was lucky to have chosen SummitClimb. Being in Nepal I realized what an amazing operation you guys run and how respected the leaders are. I was proud to have been a part of this year’s expedition and look forward to many more in the future. The leadership, organization and professionalism from everyone involved were great. Every problem was addressed immediately by the guides and solved seamlessly. The leaders were amazing and the porters they hired were first rate. Top notch work guys!" "Overall it was a very nice experience and we are very happy we participated in the trek and we would love to come back to climb." "When about everything was good, all I can do is mention what was best. Our guide could not be surpassed! He could not have been more attentive, considerate and conscientious. He was a pleasure throughout the trek, and before in Kathmandu, and taught us much about the Sherpa culture and customs, which was one of my goals for this trek. The tea houses chosen were all fine, clean and comfortable, the food was tasty and substantial. I'd be happy to recommend SummitClimb to anyone. You guys have this program handled!" 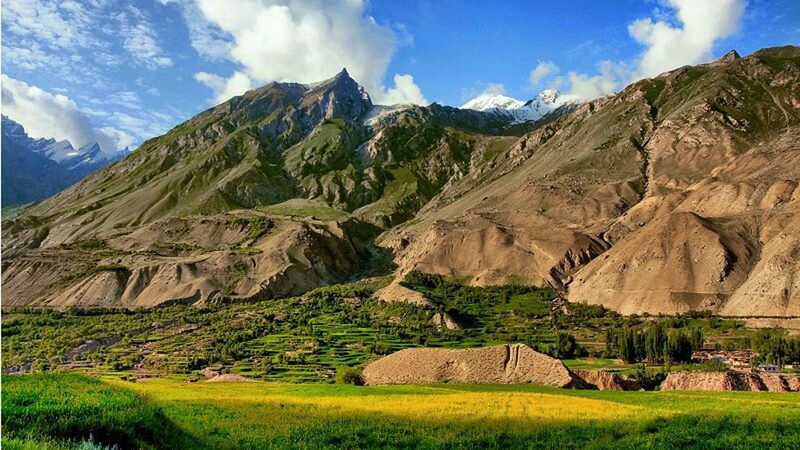 "Overall, an unforgettable trek for me: great guides, great porters, great trail mates. What more could one ask for? I'll be back." "What was good about the trek - the lodges, the peace and tranquility of the trek, the people of Nepal, the Yaks - EVERYTHING!!! trek... there were no motors running, the only sound was the people, dogs and yaks! To prepare for the trip... walk - LOTS! Hike if you have any hills/mountains in your area but WALK - WALK - WALK. I felt stronger and stronger the farther we went. They may also want to practice walking with poles. I never used them and they may have helped on the way down with my knees. What to expect - expect to enjoy the experience. Just let the little things go and open yourself up to living through one of the most amazing experiences in your life. Don't expect it to be like home... you are there to experience a different aspect of life, not your normal day to day existence. I also LOVE the fact that you have added on Island Peak - I would have done that FOR SURE!!! I'm very disappointed we didn't have that opportunity, which just reinforces my drive to go back. You know, we swore this was a once in a lifetime trip and we didn't think we would ever go again BUT we loved it. I was really tired by the time we got home and it took me a couple of day before I REALLY appreciated all that we had experienced. It didn't sink in until we were home, going through the pictures, handing out the gifts we had bought, etc. when it hit me - It was one of the BEST things I have ever done for me personally and for Rob and I as a couple. Not everyone takes the opportunity to experience life and to live life, the trek make us both feel like we have lived life a bit more... but we're not done yet!!! Let people know they can purchase almost ALL of their gear in Katmandu for much cheaper prices than in most countries and it is GOOD gear, not just junk. We would not have bought as much clothing, etc. to Katmandu if we would have known this. Not only would we have saved $$ BUT we would have supported more people in Katmandu. It may be a third world country, BUT the Nepalese know what trekkers and climbers need." "My concern about any problems in Nepal I heard about before the trip were non-existent in the areas we traveled. We did not witness any such disturbance. Traveling as a single female, I am probably a little more cautious than most but I have to say that never once did I feel concerned about my safety." "I think a good thing about this trip is having a trek included with the expedition. People really like having that look into the 'expedition world' but usually don't want the uncomfortable/cold suffering part themselves. They mostly like a night or two/three of camping but prefer (definitely higher up) the lodges. Another good thing is that this trip is being organized by very experienced people who know how things work in Nepal and can offer solutions to unexpected problems. Trekkers usually feel that this trip is relaxed and the leaders are flexible when and where they can. This gives them a feeling of being more part of the team because their questions and opinion are being heard. I really like the fact that it is fairly easy to achieve a high altitude while trekking the original Everest route from the 1920-1953 Everest expeditions."